The Find a Doctor tool is a collection of practitioners that DM patients have seen for their condition. This database is solely comprised of patient/family member referrals. The Myotonic Dystrophy Foundation (MDF) does not endorse a particular practitioner on this list and makes no representations as to the quality or suitability of a particular practitioner for your needs. MDF reserves the sole right to add or delete content without further notice. Information posted to this site and opinions offered by individual members on this website and other linked sites are provided for educational and informational purposes only. This site is a public resource of information on myotonic dystrophy (DM) that is intended, but not promised or guaranteed, to be correct, complete, or up-to-date. The information on this site as to a practitioner is provided "as is" for general information only. MDF reserves the right to delete, modify, or supplement the content herein at any time for any reason without liability or notification to anyone. Any communications or contributions you receive, make, or otherwise transmit to MDF by any means are on a non-confidential basis, and MDF is under no obligation to use or refrain from using, reproducing, publishing, or otherwise disseminating in any way or for any purpose. To the extent you submit content to this site that is subsequently used by the MDF, you assign the right to use of said content to MDF for any purpose whatsoever without payment of royalties or any other consideration whatsoever. Research and medical understanding regarding DM is constantly evolving and changing. The information provided herein should not be considered complete nor should it be relied upon to suggest a course of action for a particular individual. Any information or opinions provided are not intended to be a substitute for a personal consultation with a qualified health care provider. If you have or suspect you have DM or any health problem, you should personally consult with a health care professional. Information and opinions posted should not be construed as an attempt to offer or render a medical opinion or otherwise engage in the practice of medicine. 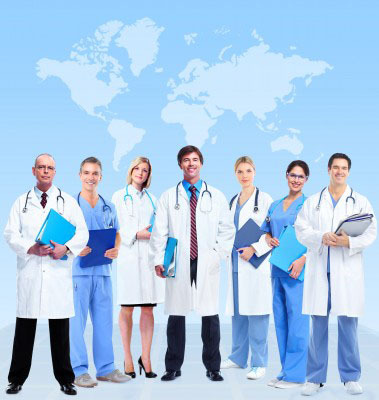 It is further emphasized that health care related questions regarding appropriateness of diagnosis, treatment, diet or fitness programs, or other posted treatment for individuals should be directed to qualified health care providers. The MDF assumes no liability for the reliability of contents or for damage or injury to persons or property arising from use of any information provided herein. Reliance on or the use of any information or opinions provided is solely at your own risk. You agree that you will hold harmless MDF, its directors, officers, consultants and agents, moderators, resource group members, and others from any and all damages resulting from your use of this database. I have read the disclaimer and agree - take me to the map.